Man, I don't even know where to start with these two. Lin + Earvin are some of the coolest, most down-to-earth people we've ever met. I also can't make it three sentences without mentioning how amazing Lin's mom is...she treated me like her own kid from the moment I met her!! 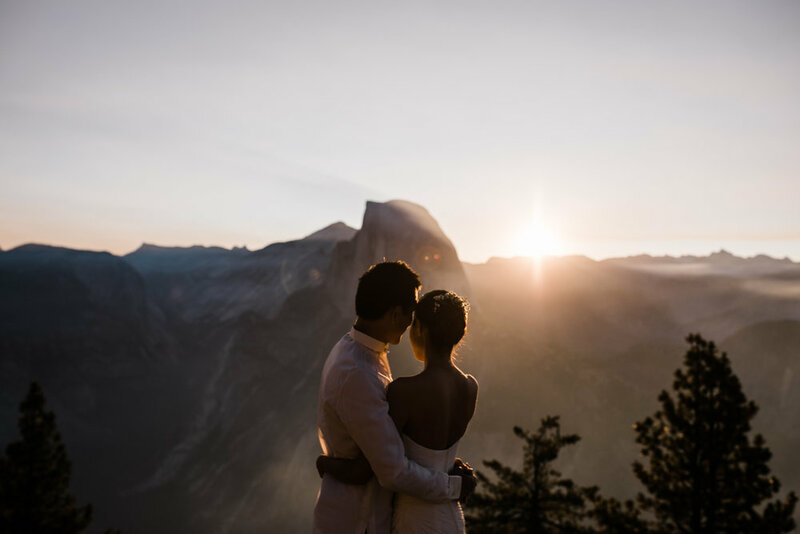 We started their wedding day with their first look at Glacier Point just before sunrise. 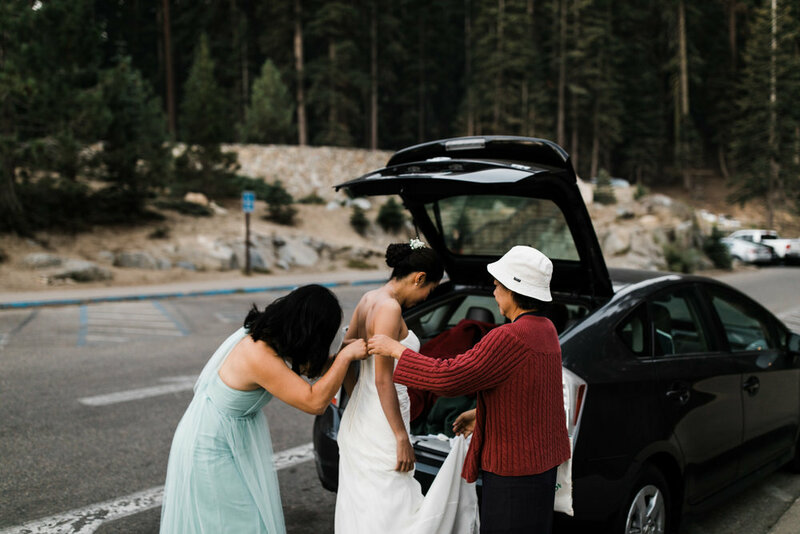 Lin, being the chillest bride ever, hoped out of the car in one of Earvin's button-up shirts and quickly changed into her wedding dress in the Glacier Point parking lot while her mom + maid of honor held up blankets as a make-shift changing room. 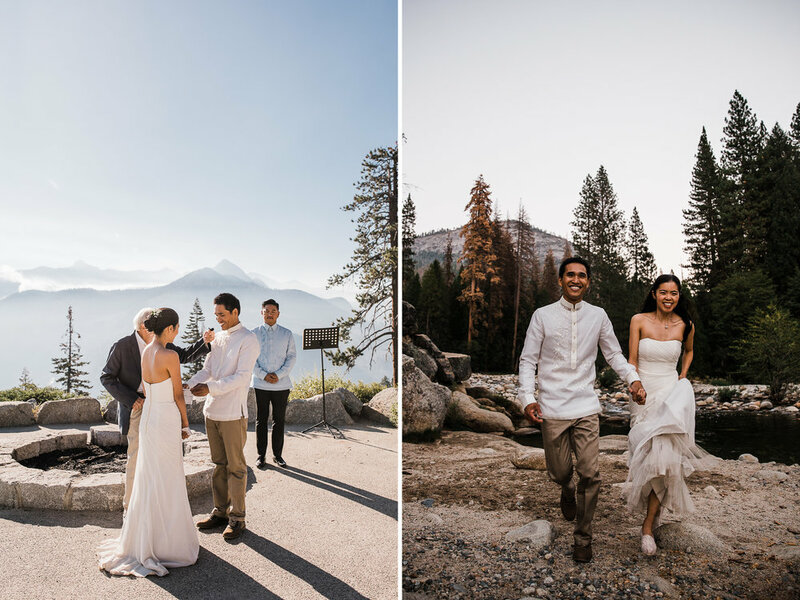 There might have been a few nerves as we walked down the path to meet her groom, but the second she made it to Earvin they didn't care about anything else in the world. 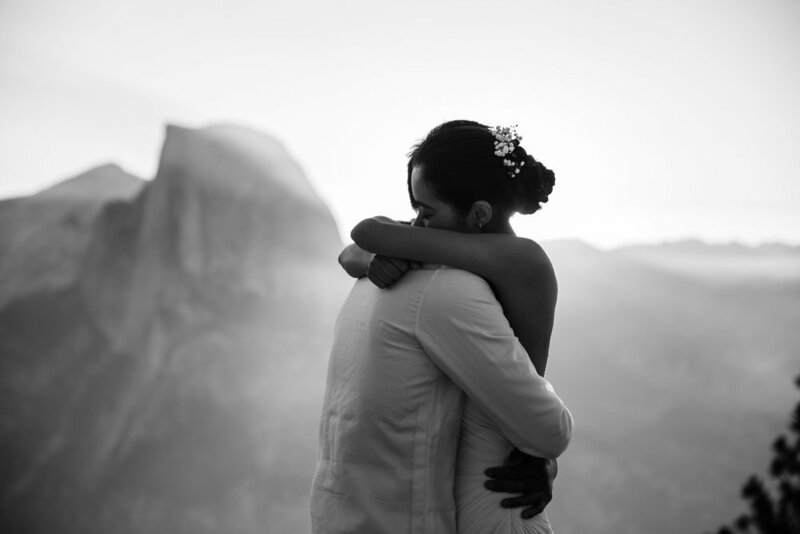 These two were amazing to photograph because they just enjoyed each other the whole time. It was almost like I wasn't even there! 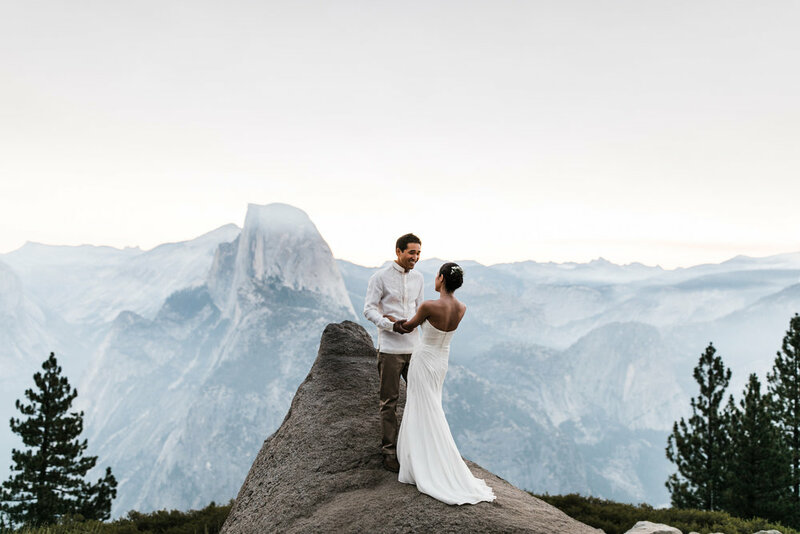 After their first look, we hiked around Glacier Point together taking portraits before their ceremony. Being the rock climbers that they are, they asked me if we could do some photos out on the infamous diving board and I gave them my typical shpeel, explaining that it's definitely dangerous but I won't stop them from doing anything they choose to do, and I will definitely take photos :) They opted to go for it and I must admit, while my heart was beating out my chest the whole time, I am so glad they did! 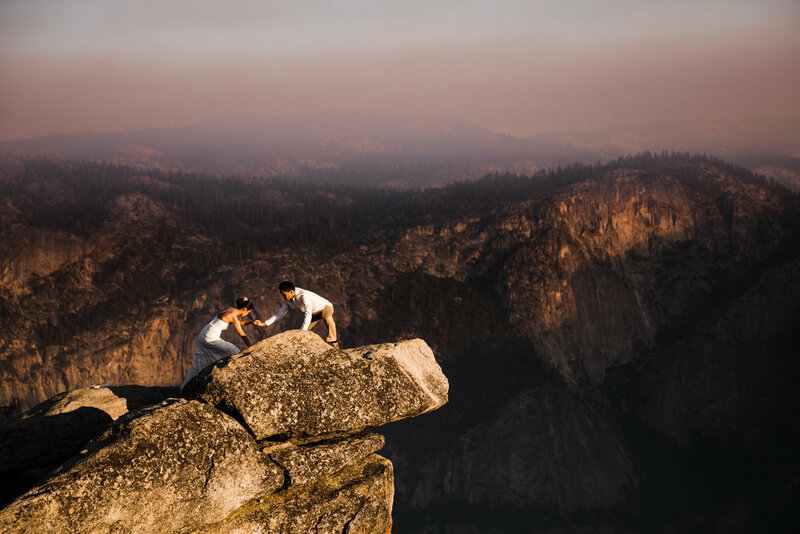 That being said, I'm pretty sure the highest-pressure moment of my wedding photography career was when Lin was getting out to the diving board (in her wedding dress!!) while her mom watched. But, her mom is a saint and instead of killing me afterwards she hugged me and was stoked on the photo when I showed her a preview! 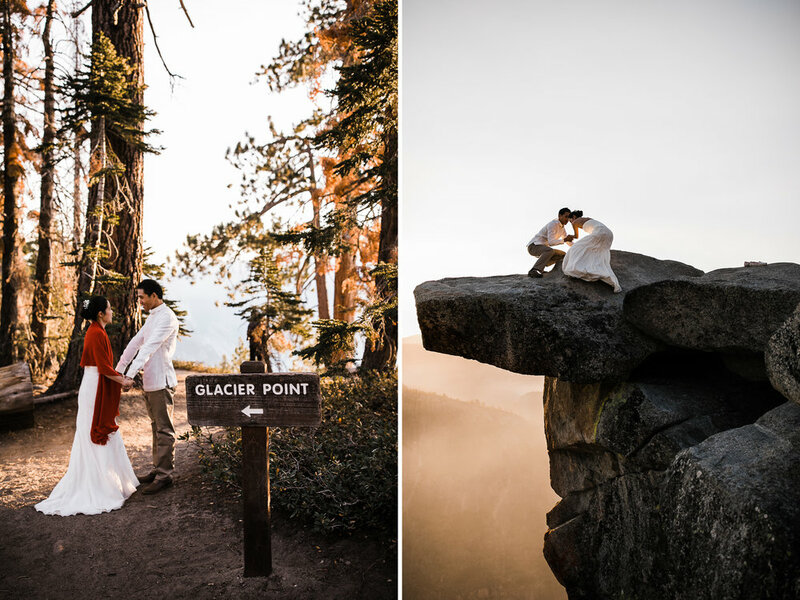 Their early morning ceremony was absolutely beautiful, an intimate affair with close family and friends at the Glacier Point Amphitheater followed by a few hours off for everyone to enjoy the national park before their reception that evening. 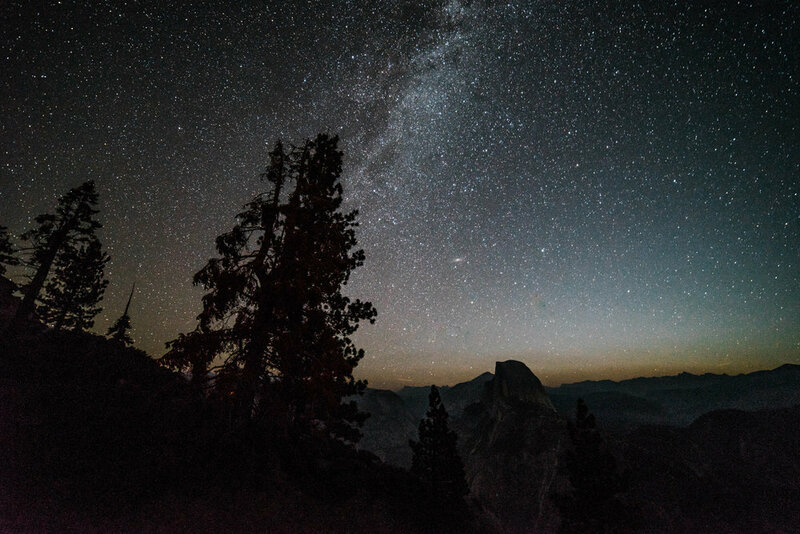 It was fun hearing different family members say something along the lines of "so that's why they chose Yosemite" after taking in the amazing view. There were even a few hang gliders that launched right after their ceremony! It was awesome. 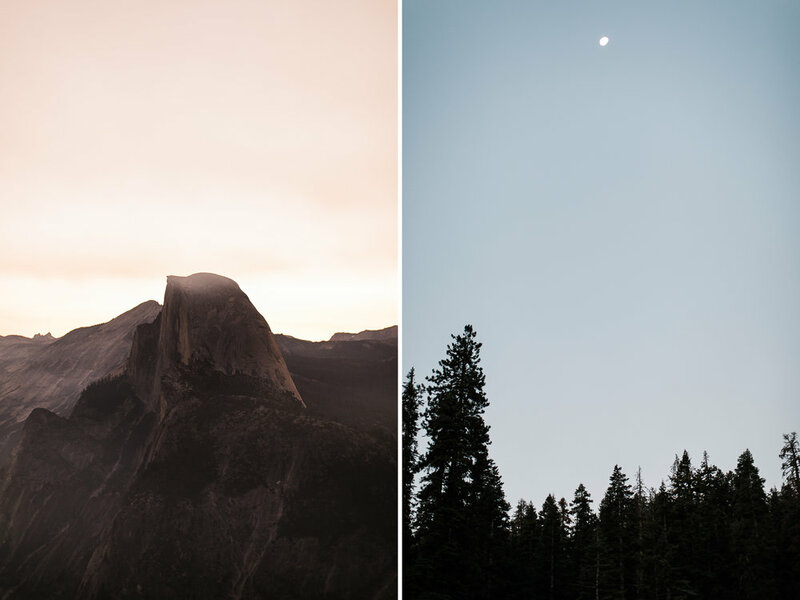 Their reception was at The Redwoods in Yosemite, a really cool little venue in Wawona. One of the awesome things about The Redwoods is they also have a bunch of vacation rental cabins around the venue, so everyone stayed in Cabins nearby and didn't have to travel far (once they got there!). Their reception was gorgeous and touching, including their amazing first dance that impressed everyone! We ended the evening with some sunset portraits on the river nearby. 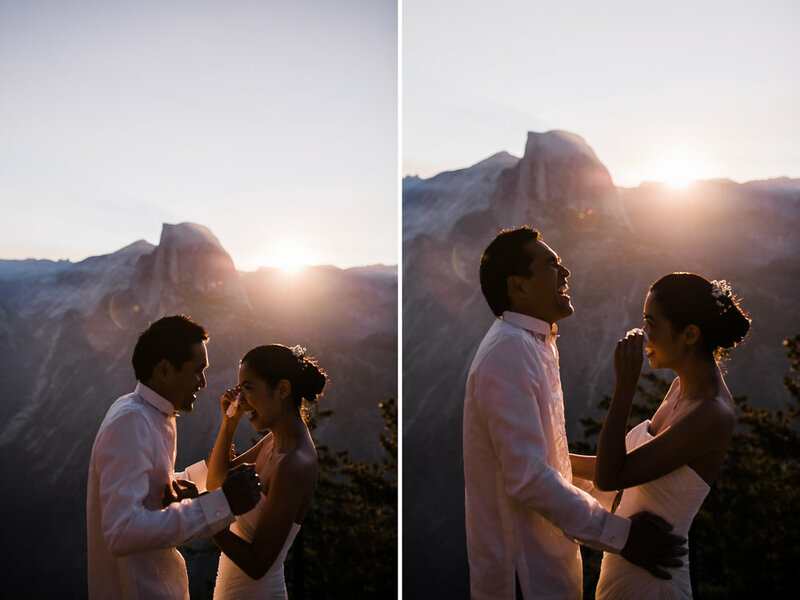 I think it was the first time we've ever shot sunrise and sunset with the same couple :) When Lin + Earvin first reached out to us about shooting their wedding in Yosemite, they mentioned how much they loved Callen's night photography...Callen ended up taking some really rad long exposures of the stars at Glacier Point the night before their wedding as a little gift from us. I don't think they know about those yet, so surprise Lin and Earvin :) I hope you love them!